❤︎ Howdy, welcome to my Scratch page! Art trades, design trades, and collabs are for friends only. Commissions may or may not be open. Here are my most used OC refs tho! ● Eyes: Her eyes change with her mood. ● Blood: Her blood can be either red or black, depending on her mood or the situation. ● Leg marking: It changes with mood. It can change to be literally almost anything, as long as it relates to her mood or what she's thinking and/or doing. It can be a facial expression, symbol, short phrase, or an object. 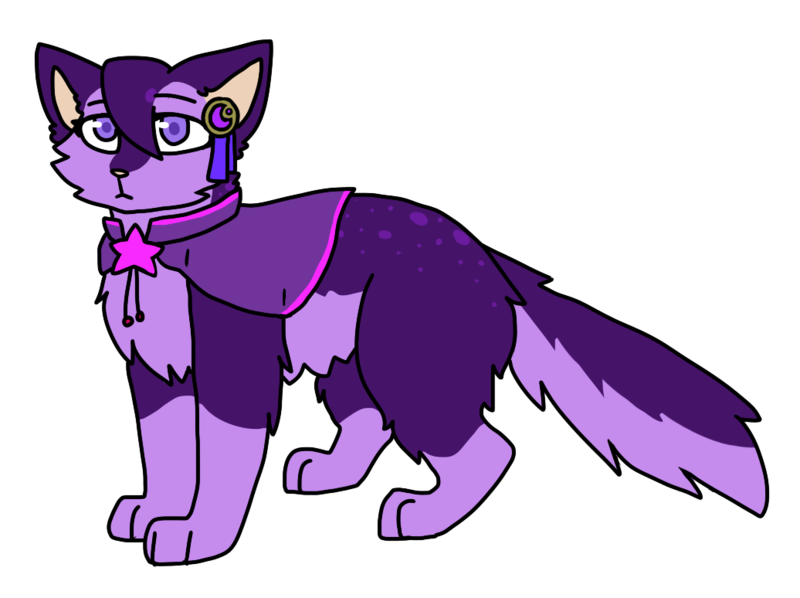 Also known as Anti-Yaso, she is an alternate form of my fursona. She has somewhat more wolf/tiger like anatomy than Yaso does, as well as her somewhat bigger muzzle. This is my 2nd fursona. Flower accessory not optional. Sometimes color vaguely depends on mood. This is my 3rd fursona. Her deep purple hair is thick and straight, with the tendency to curl towards her face in some places. Her eyes are lavender and seem to almost glow with the presence of strong moonlight. Her face is always relaxed, not showing much emotion, but usually seems to have a hint of seriousness to her. 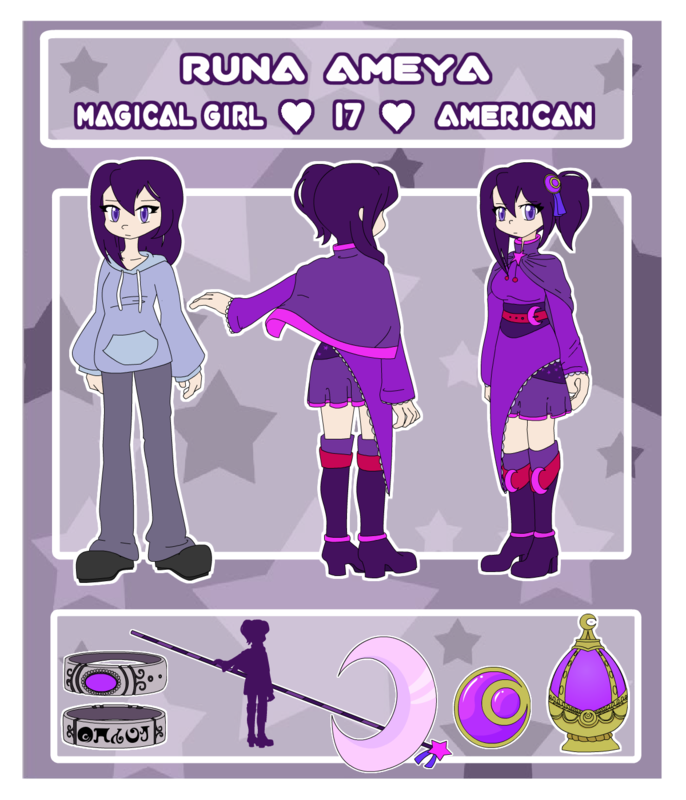 Her soul gem is in the shape a crescent moon, with a circle inside it, and is located at the base of her ponytail. When not in her magical girl attire, she wears simple comfortable clothes and has her hair down. Q: Can you join my MAP/Contest? A: No, most likly not, sorry. I wish you luck hosting it tho! Q: How to you add texture to your memes? A: Click here for a tutorial I made. Q: Why do you not like recolors? A: It's honestly pretty disrespectful to me. I took so muc time and effort to work on the artwork for my projects and someone comes along and uses the fill bucket tool on it and calls it their OC. Even though this isn't always the case, most of the time it's really unfavorable to me. Q: Why are all the comments turned off on your projects? A: Because it takes way too much time to reply to everyone. It's much easier to keep comments open on just my profile, where I can easily check without having to go to each indevidual page one at a time. A: It's a Madoka Magica fanfiction collab I'm doing with PetalsSilversteam. You can find more information by clicking here. Q: Why/When did you join Scratch? A: Because my brother 3yearoldboi and I are/were homeschooled, our mom would always find new interesting educational stuff for us to try. We first had the offline editor, but then I found and joined the website. I abandined it for a while until I revisited it and discovered that the animation meme comunity had spead here from YouTube, so I became active again. Feel Free to ask more questions by commenting on this forum! Welcome to the Discuss area (the Forums)!